What I am planing on doing is creating almost like a Vlog for my YouTube channel all about my trip so it'll be like taking you along for the ride! 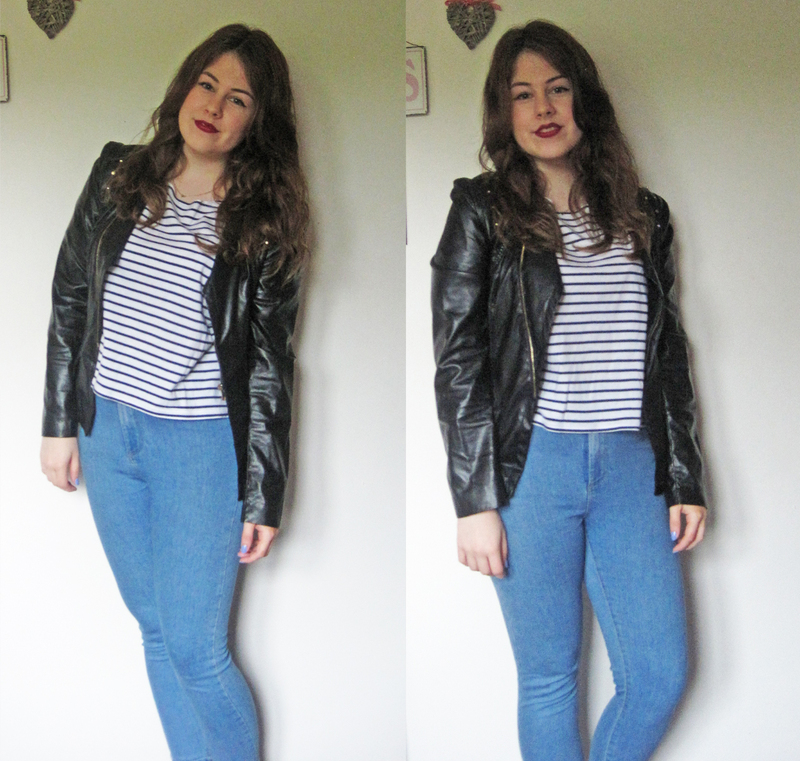 Stripes and leather were on the cards for today's outfit of the day. I wore an old Jersey style t-shirt from Topshop, which sits oversized and hangs off the shoulders to create that lop-sided effect. 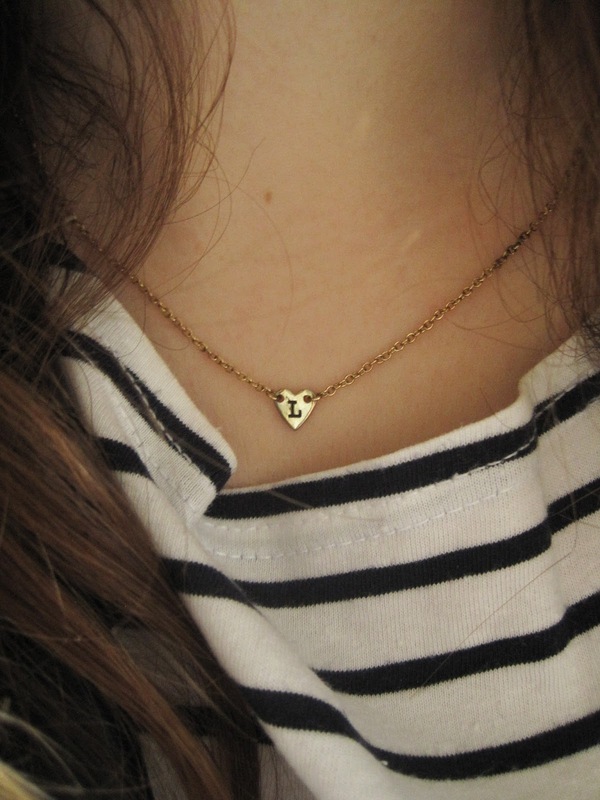 I then wore my high waisted Joni's again from Topshop and added a tiny gold necklace from Urban Outfitters. 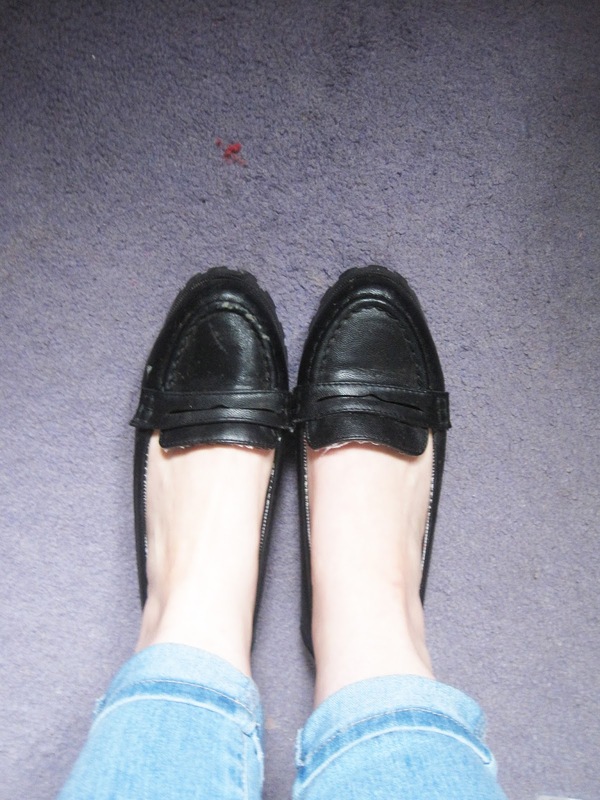 Then I wore my black loafers from Topshop and added a dark purple coloured lipstick just to have a break from all the Summery bright colour's as I know personally I feel a bit like dark colour's are banned from the Summer, which shouldn't be the case at all!